Sign up for the latest event info, training tips, exclusive deals and more. It’s almost like it was shaped ready for a Tough Mudder, Lardner Park provides the perfect mix of muddy flats, lush rolling hills and thick shrub for Tough Mudder Melbourne. Guaranteed to have more Melbourne Mud then ever before, your legs will be crying for some hard ground. 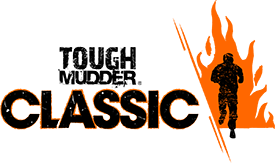 We’re returning to our badass roots and pulling out all the stops to make 2019 a season to remember.Tough Mudder Classic is one 16km course of mud-soaked mayhem loaded with 25 best-in-class obstacles, including 8 new or updated 2019 obstacles on Every. Single. Course. That’s right. Be the first Mudders in Australia to conquer these new obstacles. Standard Registration: Tough Mudder Ticket, Headband, On the Go Finisher Tee, Icy Cold Finisher Drink. You also have the option of adding optional Registration Fee Protection insurance during the registration process at an additional costs. Find out what's covered here. Tough Mudder is just as much a spectator sport as it is a participant event, and we welcome all spectators. Whether you’re coming to watch a loved one or just want to check out the action to see what it’s all about – you’re guaranteed an action packed day of laughs and memories. Our Epic Mudder Village is packed with sponsor activations, Happy Ending our Finisher Obstacle and our brand new obstacle the Gauntlet, a refreshing bar and of course delicious food. We also create a spectator route which takes you out on course to take in some of the obstacles and watch your Mudders tackle the course. Please note that on-site prices are higher than online. Anyone under the age of 13-years old is free. That's right, free. No need to sign them up. Just bring them along on event weekend. Spectator tickets that are purchased through the portal or through the registration process will automatically added to the same QR code as your ticket and there will not be an updated confirmation email send. Spectator tickets purchased separately within four weeks of the event should receive a separate QR code and confirmation. No matter how prepared you think your are or how far away your event is, we have a training plan to get you Mudder ready. Tough Mudder is excited to announce that our Official Charity Partner for the 2019 Season is beyondblue. beyondblue want every Australian to achieve their best possible mental health and exercise can be a great way to start. We know it boosts physical health, but it can also benefit mental well-being and exercising in a group is a fantastic way to make social connections. We would love for you to join the beyondblue Team, to run in support of the 3 million Australians currently living with depression and anxiety. By joining our team and raising funds, you're helping to improve the lives of people affected by depression, anxiety and suicide and raise awareness on the work we do across Australia. Ditch the meeting room and take on Tough Mudder Classic. Ready to get out of the office and into the mud? The Classic is the perfect challenge to motivate your staff, or split the group and make the choice. Some can do the 5K and others the Classic. In the end it doesn’t matter – what matters is you’re guaranteed to have an epic day that will make bubbler talk way more interesting! To learn more about our Corporate Team packages for groups of 15+, enquire here. On-site participant registration will be based upon space available on Saturday and Sunday. So don’t risk missing out - purchase your ticket now. Have any questions or queries about how things will go down on event day? We've got the answers here, from how old you need have to be to run through to how to access your start times, it's covered. See our top question below. What are the age restrictions. What can I expect out on course. Tough Mudder is based on teamwork and camaraderie, you’ll work together with mates and complete strangers to finish the course. Teams can consist of any size 2, 8, 11, 30, 41 – whatever number you get to you can bring. There is no minimum number for a team or maximum number. During the registration process you will be asked nominate a preferred start time slot (Early Morning, Late Morning or Early Afternoon). Please note we try to accommodate everyone’s request but your start time may be outside this preferred timeslot. To ensure you receive the same start time as your friends you MUST create an official team via the Active Portal so that we know you’re together. In 2019 we’re lowering the age to include no include 14 and over for all 5K and Classic events. All under 18 years olds must be registered by a guardian and be accompanied by an 18+ guardian on course at all times. We allow a 2 minors to 1 guardian ratio on course. The 18+ guardian must pass through registration at the same time as the minor through the specially marked U18 registration lanes. All attendees must purchase a parking pass to park on site at the event. Save time and money by purchasing your parking pass now. Quantities are limited. Preferred Parking: Don't feel like the long walk to the general Car Park but a bit budget conscious? Well Preferred Parking is just for you. General Parking: Pre-pay your General Parking and make entry to Tough Mudder as easy as possible. Car Pool to make it even cheaper and save the planet Mudders. Handicapped Parking: will be available close to Mudder Village. Ensure handicapped pass is visible. Bus Parking: Only requires the one car park pass and will be directed to the Bus Parking. Parking passes can be added to your registration when buying your ticket, or through your My Events Portal (linked either in the confirmation email or here: https://myevents.active.com/toughmudderaustralia) after the ticket is bought. Stand-alone parking passes can be bought through the website four weeks out from the event. PLEASE NOTE: You can either book parking as an add on to your participant ticket (ie within the registration process) or as a separate ticket using the links above. If you purchased your Parking Ticket as an add on, you will NOT receive an additional confirmation ticket and access to the car park is via the bar code on your participant ticket. Outlined below is a guide as to the travel time to the Tough Mudder course from the outlined major City centres. Please note this is a guide only. Why not check out our Facebook event pages and see if you can help a Mudder out and car pool. Check out Tough Mudder Australia on Facebook.